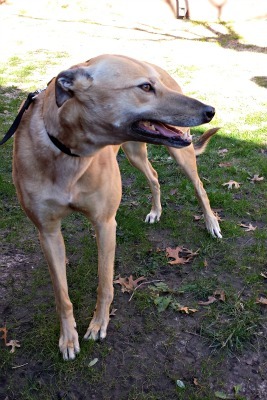 Iris is a 4-year-old fawn female born July 28, 2013. Her sire is Flying Coal City and her dam is TMC's Romance. 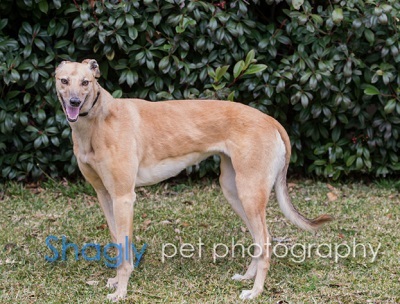 She was not individually registered and has not raced. Iris is not cat or small dog tolerant at this time. 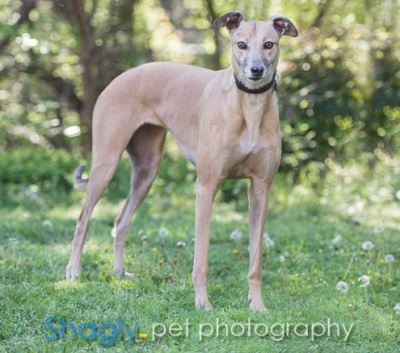 Iris is an energetic youngster who loves to toss her toys in the air and chase them. More than toys or anything, she loves people. She is very affectionate without being needy or clingy. When resting, Iris lies on her back and twists herself into a number of positions and usually has her tongue out and her eyes open. She never fails to bring a smile to my face. 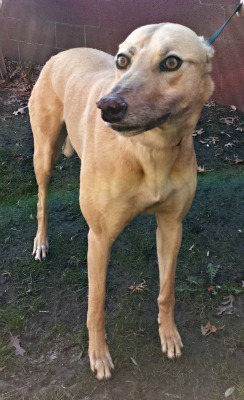 Iris has lovely house manners and is free to roam the house with her foster greyhound brother without accidents. Iris does have a bit of guard dog in her as she alerts her housemates to the presence of any 4-legged intruders out her window. 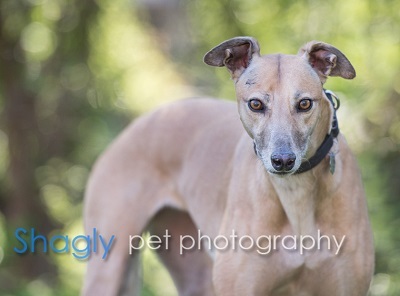 She is a loving girl in search of a home with other greyhounds; no kitties or small dogs please.